At Self Store & More, we appreciate you may not always need large storage units or rooms for the complete contents of your home or office, and that is why we also offer smaller storage solutions such as individual racking space and purpose built wooden storage units, which are secured inside our warehouse facility with 24/7 CCTV, Fire & Security systems. We have three sizes of storage unit to choose from depending on the type and number of belongings you are looking to store. 7’(d) x 5’(w) x 4’(h) – ideal for storing boxes of books, business papers and files. 7’(d) x 5’(w) x 8’(h) – ideal for storing contents of a 1 bedroom flat or small office. Similar to the load space of a SWB transit van or small garden shed. 14’(d) x 5’(w) x 7’(h) – ideal for storing contents of a 1/2 bedroom house or small single garage. Similar in size to the load space of a Luton Box Van. 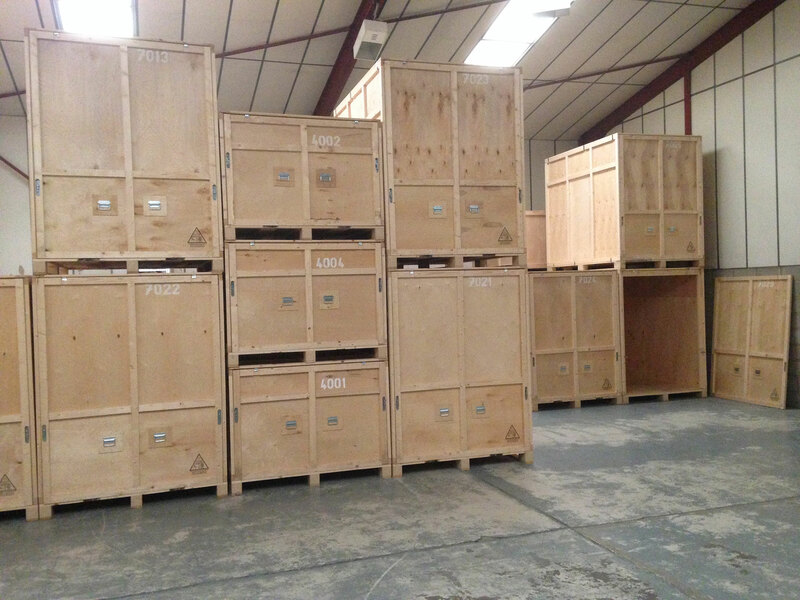 These units can be rented individually or in multiples of different sizes to suit your needs. You are welcome to bring your belongings to our storage facility, which is ideally located adjacent to the A40 near Monmouth, Ross-on-Wye and the Forest of Dean, or we can bring the unit(s) to you using our popular Mobile Self Storage service. Whilst in storage, access to your belongings is completely free of charge with direct vehicle access so there’s never any need for trolleys, lifts or pallet trucks when loading or unloading. As the units are accessible inside our warehouse, you and your prized possessions will always remain dry, clean and protected from the weather when loading, unloading or simply sorting through what you have. As with all of our services, access to your warehouse storage unit is available 7 days a week so, whether you’re looking for domestic or business storage because you’re moving home, decluttering, renovating, starting a family, travelling or working abroad or needing to store stock, equipment or office furniture, we promise to provide to right storage solution at the right price for as long as you need it.